I never imagined someone would have an interest in this kind of thing. I think I parked in Alligator... or was it Minnie Mouse? Did I take the Pinto or Gremlin? I like the animal icons idea, much neater than the usual numbers or letters scheme. By the way, I once actually lost a car on a crowded mall parking lot, when I forgot where I parked it. Even worse, it was a rental and I wasn't entirely sure what make or model it was, either. At first glance I thought that was an ad for Izod Lacoste. Parking for preppies only? Yes, I'm a bit late posting here, but I'll help give the story on this picture, although I wasn't born until 29 years after this picture was taken. The -dales (Southdale, Brookdale, Rosedale, and Ridgedale) were all owned by the Dayton-Hudson Company. All four were built with a plan for four anchor stores. 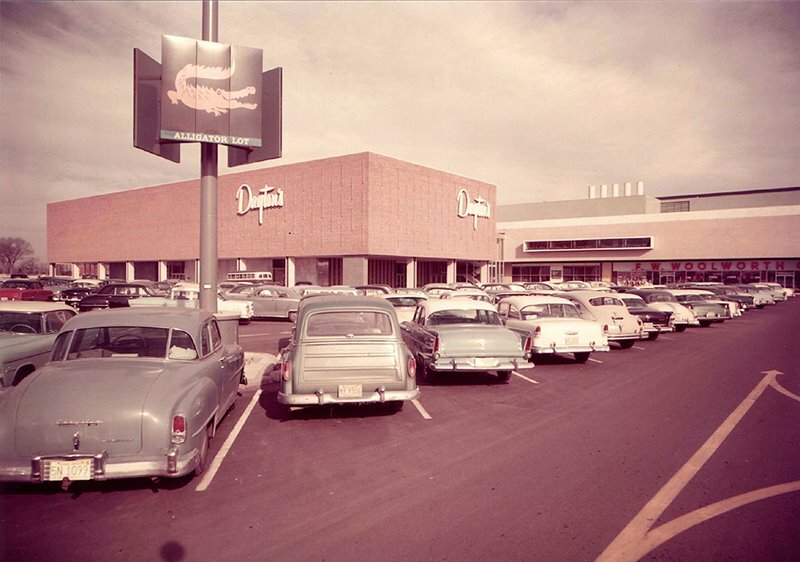 Now, the -dales also had another feature, which lasts to this day at Ridgedale. I actually haven't seen it at the others for many years now, but the animals signs (as you've probably deduced) were designed to help people remember where they parked. It was indeed a lot better than having numbers or colors. I used to frequent Brookdale when I was a young child, and they've "updated" it since. In all honesty, it's horrible now and I've longed for the days for the old Brookdale I knew to come rising from the dead, but that'll never happen. Anyway, if anyone has photos from Brookdale in the mid-to-late 80s, I'd very very much appreciate it if you'd make those photos availible to the public. Definitely, I'd love to see some vintage Brookdale photos. It's so sad what's become of this mall, especially when the other Dales are doing relatively well. I hope someone does something to turn this place around before it closes for good. Anyway, anymore Brookdale photos and info would be very much appreciated!